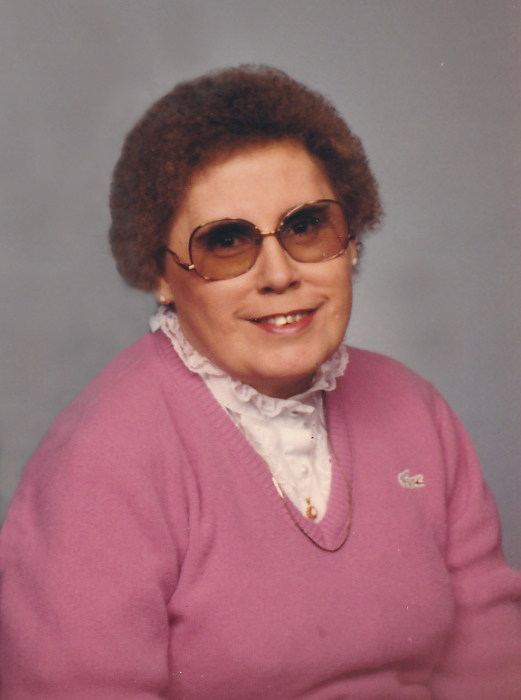 Obituary for Mary "Janet" (Losh) Griffin | Obaugh Funeral Home, Inc.
Mary “Janet” (Losh) Griffin, 81, of McDowell, passed away Tuesday, November 13, 2018 at Augusta Health in Fishersville. She was born in Highland County, August 16, 1937, a daughter of the late Margaret Florence (Smith) and Harry Burnard Losh. On April 11, 1955 at 10:30 a.m. she married Granvil “Tom” Garland Griffin. Janet was a homemaker, who enjoyed babysitting and selling Avon. She was also a member of the McDowell Volunteer Fire Department Ladies Auxiliary. She loved making crafts and watching all the animals out of her picture window, especially the birds. In addition to her parents she was predeceased by a brother, William B. Losh; infant sister, Dorothy Losh and sister-in-law, Phyllis June Griffin. She is survived by her husband of 63 years, Tom Griffin of McDowell; three children Granvil G. “Junior” Griffin Jr. of Crimora, Diane Lynn Ruckman of Jacksonville, N.C. and Kenneth Wayne Griffin of Grand Lake, Co; six grandchildren, Brent Griffin of Newport, N.C., Dustin Griffin of Stuarts Draft, Thomas D. Ruckman of Troy, N.C., Tamara Thaxton of Jacksonville, N.C., Jeremiah Denver Griffin and Granvil Kenton Griffin of Colorado; three great-grandchildren, Haley Nicole Ruckman of Jacksonville, N.C. Isabella Thaxton of Jacksonville, N.C. and Kendall Marie Griffin of Newport, N.C.; sister-in-law Opal Goble of Stuarts Draft; as well as a special cousin, Judy Whitlock of Greenville. A funeral will be held at 2 p.m., Monday, November 19, 2018 at Obaugh Funeral Home with the Rev. Chilton McPheeters officiating. Interment will follow in Head Waters Cemetery. The family will receive friends, 6-8 p.m., Sunday, November 18, 2018 at the funeral home. Active pallbearers will be Kenton, J.D., Brent and Dustin Griffin and Kyle, Brent, G.W. and Bryan Obaugh. Honorary pallbearers will be friends in attendance. In lieu of flowers, the family suggest memorial donations be made to the Highland County Rescue Squad, P.O. Box 268, Monterey, Va. 24465.